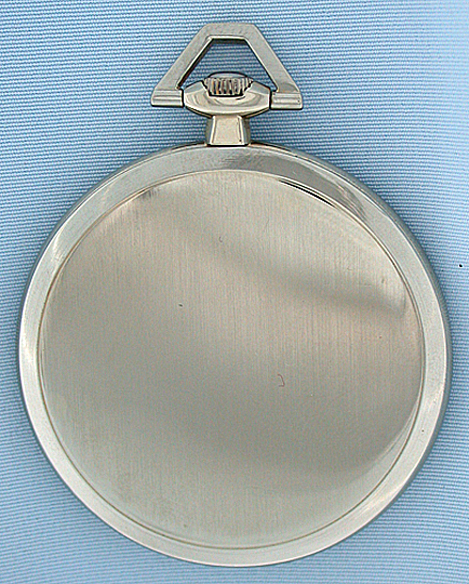 Fine and elegant Breguet 18K white gold Art Deco wandering hour antique pocket watch circa 1925. 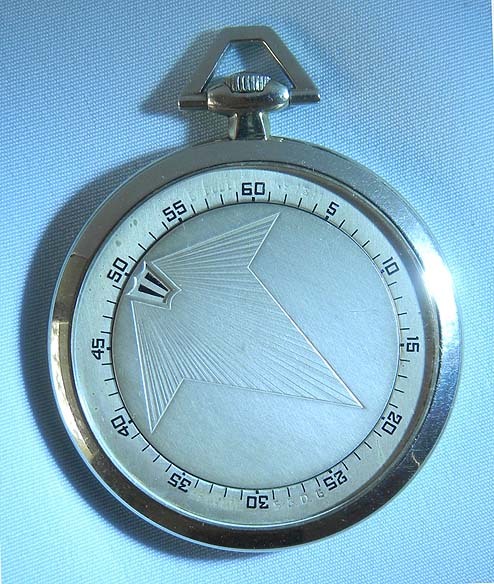 Silver dial with rotating arrow center with the jump hour pointing to the minute ring. 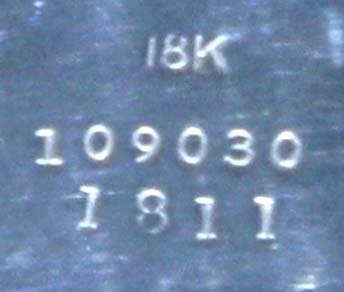 Signed "Breguet" and "No.1811" on either side of the 60 minute marker. Slim plain case. 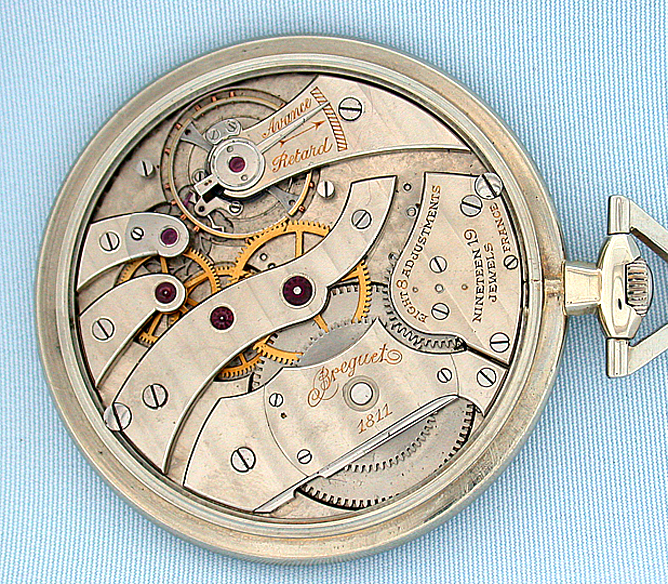 Nickel 19 jewel 8 adjustment movement signed "France". A handsome example from one of the most famous makers in particularly fine condition.